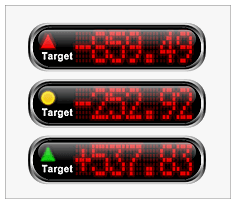 Advanced solution for any dashboard or report that needs to visualize KPIs, Scorecards and MMI interfaces. Features a complete set of Radial and Linear gauges, Digital Displays and State Indicators. 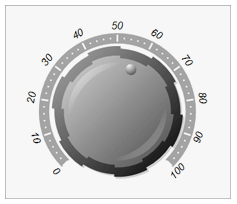 NOV Gauge for .NET has extensive support for instrumentation widgets such as radial (circular) and linear gauges, knobs, indicators and numeric displays. 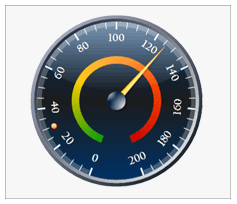 Those Gauge controls can be very useful when you need to create user interfaces for dashboards, KPIs, dials, stopwatches, clocks, thermometers, LEDs and simple indicators.